Gilbane builds a successful relationship with Acadian Asset Management on downtown office fit-out. Gilbane was selected by Acadian Asset Management (Acadian) to provide preconstruction and construction management services for the complete fit-out of two floors at their 260 Franklin Street location in Boston, Massachusetts. 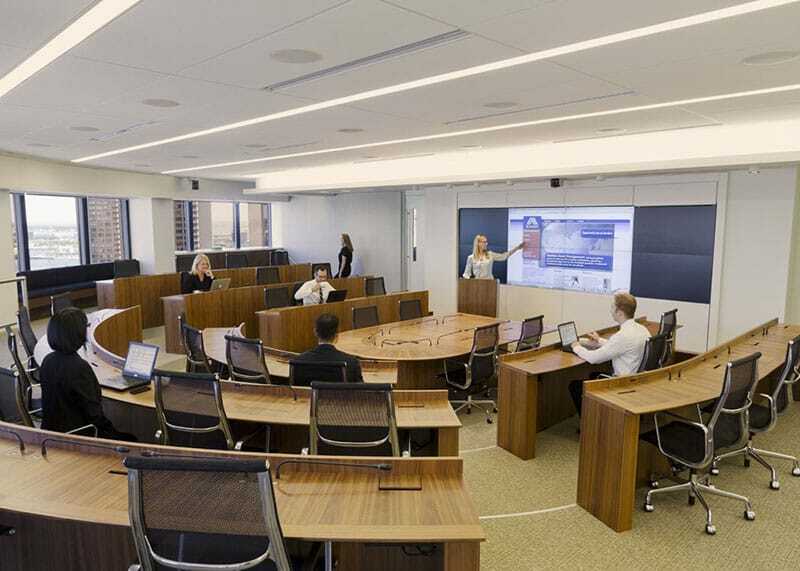 The project included the installation of an interconnecting staircase, a reception area, kitchenettes, private and open offices spaces, new audiovisual equipment, and high-tech conference rooms including a large tiered meeting room with seating for 75 people. While much of the work was completed during off-hours, Gilbane worked closely with the project team and the facility’s management personnel to accurately coordinate all scheduled deliveries and work within the fully occupied and operational building. In order to avoid potential disruption to daily activities, Gilbane provided regular construction updates and held weekly meetings to discuss project highlights, potential disruptions, and milestones dates. 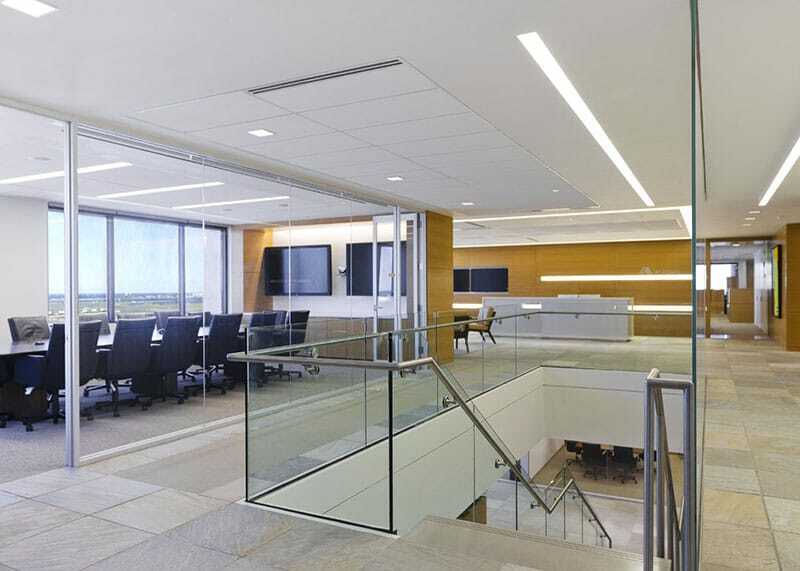 In order to accommodate their expanding team, Acadian required the build-out of an additional 15,000 square feet of space on the 17th floor within the 260 Franklin Street location. 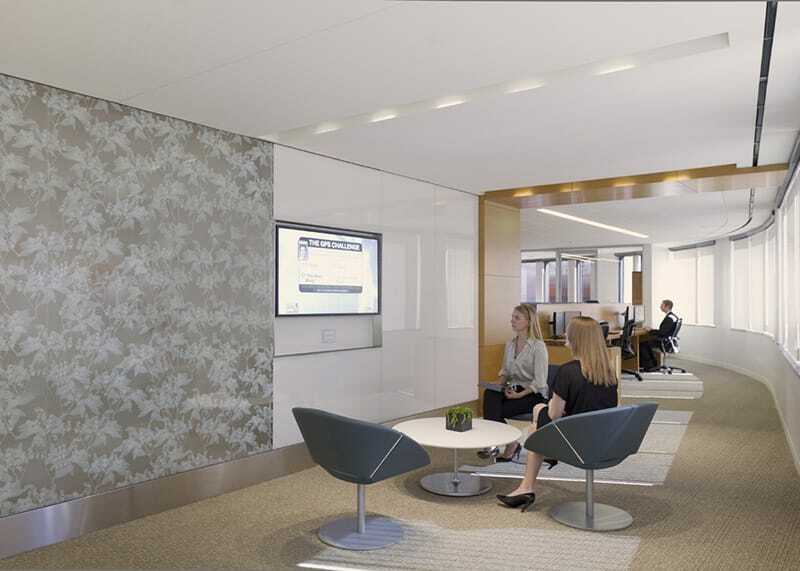 Due to the successful completion of prior work, Gilbane was awarded the subsequent work, which consisted of office space, conference rooms, and training areas.